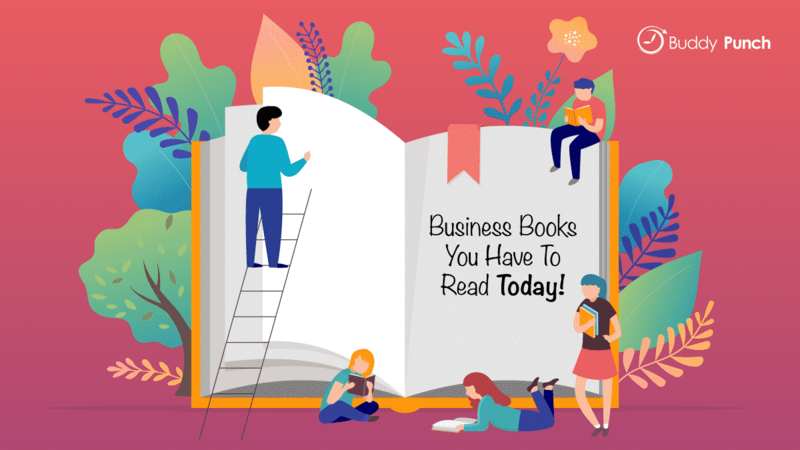 Business Books You Have To Read Today! To succeed in business, you must continuously be in the state of learning, and those who think they already know it all are the ones who truly need it the most. It is only wise to learn from others who have been successful in life and business. Business resources and books are filled with a vast supply great information – from expert advice, ground-breaking strategies, and examples of what not to do. Here is a list of some books you need to put on your list of ones to read in the near future. The author of this book, Brene Brown, has been on Ted Talk numerous times and is an emotions researcher. The premise of this book is that a good leader does not need to “rule with an iron fist.” Yes, strong leadership is necessary, but tyrannical leadership is another thing altogether. A great leader must be willing to be vulnerable and willing to admit that they need to learn or unlearn some stuff themselves. This takes courage and a conscious decision to choose courage over comfort. How to Win Friends and Influence People is a classic must-read for anyone in business, no matter what capacity they have. Although originally published in 1936, this book is still one of the best-selling business books in history. The only way you can change people’s behavior towards you is by changing your own – this concept is always relevant, no matter what decade it is. According to the author, the secret to having a successful business is not talent but the determination to never quit – or having “grit.” She discusses how grit can help you achieve long-term success in every area of your life, no matter if you are a teacher or CEO of a Fortune 500 company. Rand Fishkin, the founder of Moz, is not your typical business mentor or advisor. He did not attend Harvard or have immediate overnight success. In fact, Moz took fifteen years to truly experience success. Rand approaches the realities of a startup with refreshing honesty and a bit of much-needed humor. You will get a look at the highs and lows of starting a business, as well as plenty of great advice. This book earned the title of one of “The 25 Most Influential Business Management Books” by Time and has remained a bestseller since its publication in 1989. Successful people around the world all have the same seven habits in common. These concepts apply to not only a successful business but also to a successful life in general. More often than not, bad habits are what stands between success and failure. The author uses studies held on animal and human behavior to help explain how habits are formed, how they affect our lives, and how they can be changed – personally and corporately. Harvard Business School professor Youngme Moon stresses that instead of focusing on what makes them better than their competition, business owners should focus on what makes them different. What makes your business unique? The author researches successful companies like IKEA and Google to explain further why being different lets you stand out from the crowd and impact more customers. Shoe Dog is an inspiring and encouraging book for small businesses especially. Even huge companies start out as small ones and have help. Did you know that Nike began with a $50 loan? Phil Knight, the founder of Nike, uses his own personal experiences to share how you can take your business from a startup to a brand giant. What does it take to keep customers coming back? Danny Meyer, Chief Executive of restaurants like Shake Shack, the Modern, Tabala, and Blue Smoke, shares the importance of “enlightened hospitality.” He firmly believes that the key to keeping customers returning is the staff. His philosophy is foreign to most other business owners – he puts his employees first, customers next, and investors last. It is always first nature to reply to bad reviews or opinions and defend yourself or your business. Surprisingly, Jay Baer believes that at times, this is actually the best response. However, it is essential to understand the two types of “haters,” what motivates them, and what is the best way to make their criticisms work to your benefit. Reading books from successful businessmen and women allows us to gain insight into how to thrive in the business world. No matter what book you decide to read, do your best to implement their suggestions and learn from their mistakes.